For Sinéad Moran and Nathalie Markiefka, great food means one thing. Anything bought directly from a local eco-friendly farmer. That is why the Dublin-based duo has created Foodture – a“fair food finder” website to connect families across Ireland with their local organic farmer. “I grew up on a farm but as a teenager had no interest in farming,” says Sinéad, although this all changed after a stint living in Australia where she developed an interest in environmental and climate change issues. Her newfound interest motivated her to go back to university and study for a Masters in Climate Change, Agriculture and Food Security at the National University of Ireland Galway (NUIG). It was here that she met Nathalie, an environmental enthusiast who had recently made a resolution to eat more healthily. 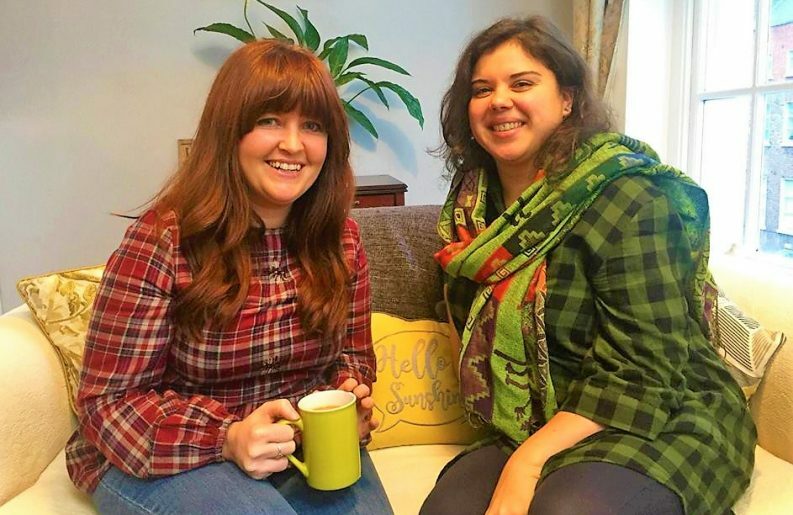 Nathalie and Sinéad‘s shared interest in clean eating without damaging the environment created a bond between the two that blossomed into a partnership after graduation. However, Sinéad soon realised that there was no access to fresh organic food where she lived in Co Mayo apart from a small selection at local supermarkets. “I found it funny that Nathalie was living in Dublin and had better access to fresh food than us in the country,” she says. So the pair decided to create Foodture with the aim of ensuring that families all over Ireland have access to fresh and sustainably grown food. “We’re about reconnecting people and organic farmers,” Sinéad says. “In simple terms, we are telling the stories of small, medium size farms around Ireland who are producing food that is grown in harmony with nature and we do it to inspire people to support them by buying directly from them,” she explains. According to Food and Agriculture Organisation of the United States (FAO), organic farming is good for the soil and cultivates a land that is more sustainable and rich in nutrients. Organic farms are still in the minority in Ireland, however. In 2016, Ireland was home to only 1,787 environmental-friendly farms – well below the European average. Foodture’s fair food finder – “fair to the environment, humans, and animals” – aims to help people to find out if any of this small cohort of eco-friendly farmers are based in their area. Sinéad and Nathalie chose the name Foodture as they believe this system is the future of accessing food. “We want to change the food system of the future and encourage people to be part of that change, this is one of our high goals as a social enterprise,” adds Nathalie. Sinéad and Nathalie call eco-friendly farmers who have joined Foodture “food ambassadors”. The two women go to the fields and interview them and share their stories on their website. Sinéad says that their food ambassadors have so many great stories to tell, from a young family of hard working eco-conscious farmers producing sustainably grown food to a more technical farmer putting science into every aspect of growing food. “For me, the beauty of it was to see that each farmer showed a different aspect of what it feels like to be a farmer and the diversity of solutions for farming,” Nathalie says. Sinéad says that they are also hoping to inspire younger people to make a living of eco-conscious farming. “Changing the image of farming is also one of the things we like to do,” Nathalie adds. Sinéad and Nathalie say that they have “loads” of goals for their growing fair food enterprise but right now getting their message to people across the country is their number one priority. “At the moment our main goal is to get out there, have these conversations so people could get to know us and see that what we are doing has a value for a whole community of environmental-friendly farmers,” Nathalie says. Not long after launching last September, Sinéad and Nathalie were invited to appear on RTÉ’s Ear to the Ground. “To have RTÉ contacting us and say come and tell your story made us believe that we were making a positive impact,” Sinéad says. To find your local organic farmers and build a long direct relationship with them, visit www.foodture.ie.